Prong is an industrial-metal band founded by Tommy Victor. 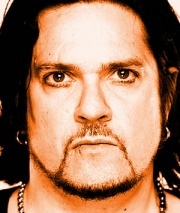 Victor has prominance within the industrial community due to involvement with Nine Inch Nails and Ministry. Danzig is among other bands Victor has worked with. Victor contributed to the now defunct Tapeworm project. This page was last modified on 24 March 2010, at 22:20. This page has been accessed 6,809 times.